There has never been a better time to be a geek. 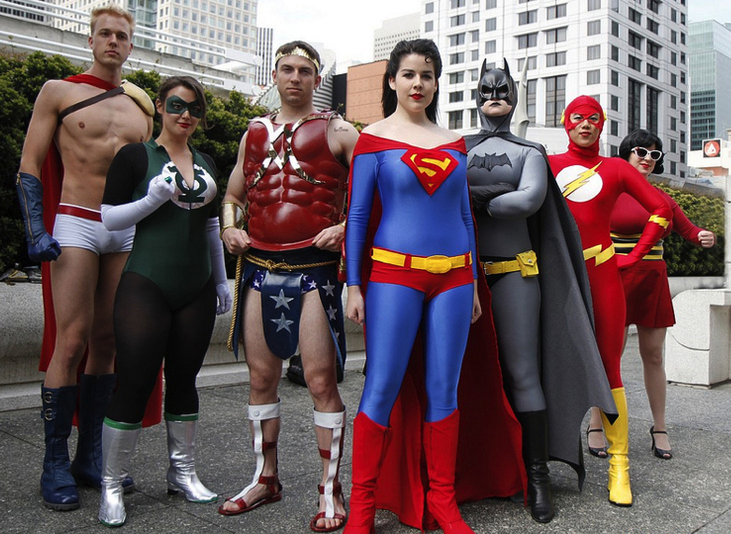 MCM London Comic Con is a celebration for everybody from movie and video buffs, anime aficionados, connoisseurs of the many types of kryptonite to newbies ready to take it all in. Over the past 13 years, the popularity of MCM (Movie Comic Media) Comic Con has seen it grow from a one- day event to a three- day, pop-culture extravaganza. Last year, 110,197 fans ‘flew’, danced, jumped and sashayed through the doors of the London exhibition, the highest attendance to date. This year’s event is set to smash that record too because for the first time ever, the exhibition will be spread across BOTH sides of the ExCeL. Want a statistic? MCM London Comic Con 2015 has expanded from 25,000 m2 to 34,000 m2! Buy a range of movies, comics, trading cards, action figures and more at the many stalls MCM London has to offer. Whether you’re a writer, creator, artist, or fan, this is the place to be. Get involved in Q&A sessions, seek advice, or learn about the latest ventures of some of the biggest names in the comic world as they take their place on the hosting panel. Play some of the newest games that have just landed in the market or are coming soon. Bandai Namco and Ubisoft will be there as will independent developers such as Arpeggio Games and Flix Interactive. Independent developers can be found in the Go Indie Games Area. Everything video and social is celebrated at Vidfest and a few successful web-series creators will make an appearance. If you’re into web series’, online videos, and livestream sessions, this is your spiritual home. This is where the past and future meet. Steam-powered gadgets that would have been impossible to create in the Victorian era are found in this fictional setting. Expect to see flying castles, time machines, and steam robots to name but a few. A blend of Japanese, Korean and Asian culture, immerse yourself in the world of anime and manga whilst enjoying food, music, and live entertainment on stage. A Sherlock panel featuring Steven Moffat and Sue Vertue on Saturday 24 October at 2pm. There will also be a free signing session. Shigeto Koyama. A designer in the Japanese media industry, Koyama has been involved in titles such as Rebuild of Evangelion and BIG HERO 6. Sylvester McCoy. He is known for playing the seventh Doctor Who and Wizard Radagast in The Hobbit movies. There will be many more guests, signings, and photo opportunities on the day. Please note, selfies are not allowed due to the high volume of guests. Some photo’s must be paid for. Excitement levels are rising as MCM London Comic Con draws nearer. Whether you’re attending as your favourite Marvel superhero or simply going in your comfy Justice League tee and Converse, we can’t wait to see you all. Tickets are selling fast. Buy yours now.